Home › Real Estate › Buying Real Estate in Palm Beach County? Must Read! Congratulations, if you have found the house of your dreams after a long hunt in Palm Beach County. If the seller has accepted your offer, all you need to do now to seal the deal is make an earnest money deposit and sign a purchase contract. Naturally, you would like to do away with these formalities as soon as possible and move into your new home, but here is a word of caution for prospective buyers like you: the excitement may cause you to rush into signing the purchase contract without giving this legal document a careful attention. This mistake costs ignorant home buyers dearly in Palm Beach County every now and then. 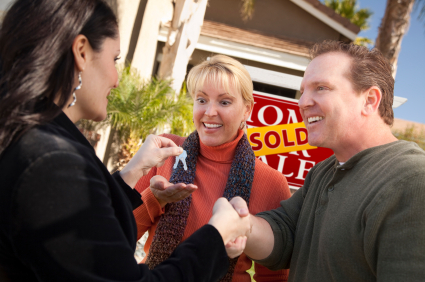 Signing a purchase contract is one of the most important steps in the home buying process. It determines the terms and conditions for each of the several contingencies that the sellers and the buyers have to meet when a real estate deal is finalized. Though a skilled real estate agent and an attorney specializing in this area will help you professionally, here are a few things that you need to be careful about when you sign a purchase contract. As mentioned above, the purchase contract lays down the terms and conditions for contingencies related to home inspection, mortgage and the sale of buyer’s existing house if the deal is contingent on it. You should be very clear and specific about each of the terms and conditions and even about its language and choice of words. You should clearly state under what circumstances you can walk away from the deal if you find any undisclosed flaw in the house’s condition. Besides, if you plan to apply for a mortgage, you should make it clear that your ability to buy the house is contingent on approval of a home loan at a specified interest rate. If you need to sell your house before buying a new one, you should put it in writing in the purchase contract. The seller would want you to specify how much time you need to sell your existing house. Closing costs may add up to a substantial amount of money. Who pays various types of closing costs and to what extent is often negotiable. Closing cost generally include attorney’s fees, title search fee, title insurance, recording fees, transaction taxes, appraisal fees and home warranties. You need to negotiate with the seller, if you want him to pay the closing costs partly or fully. The purchase contract should make it clear which closing costs the seller has to pay, and how much. Kick-out contingency Many sellers want a kick-out or escape clause included in the purchase contract. A kick-out contingency makes it possible for the seller to walk away from the deal if he gets a better offer in a specified time period. If you are making a contingent offer, you should clearly negotiate terms and condition related to the kick-out clause in the purchase contract. If you do not pay very close attention to each of these terms and conditions, you may end up losing your earnest money deposit. Misunderstandings and communication gaps may also rear their ugly head that can cause the deal to fall apart. So you should be very careful while signing a purchase contract.